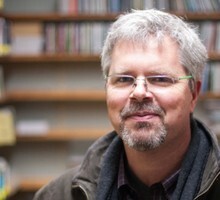 David Christensen is Program Director of opbmusic, OPB's online and multimedia music service. Ecuadorian-American artist Roberto Carlos Lange brings his gorgeous and unpredictable music back to Portland May 6. Enter for a chance to win tickets. The frontman for Portland band The Parson Red Heads releases a new solo project in May. Best known for whistled and breezy pop songs like the 2006 hit, "Young Folks," the Swedish Trio are back in Portland May 2. Enter for a chance to win tickets. The outspoken Nashville artist joins us for a powerful conversation about growing up a black woman in the south and finding her voice in music. Weyes Blood plays Portland's Doug Fir Lounge on May 18th. Here's how you could win a pair of tickets. The Philly rock band Hop Along returns to Portland April 9 at the Wonder Ballroom. Enter for a chance to win a pair of tickets. Watch a soulful tune from South Texas' Charley Crockett, in a mid-afternoon set at last summer's Pickathon Festival. Come To An opbmusic Live Session With bed. The band's masterful debut album landed in December and straight onto our best-of-2018 list. Watch the band play an opbmusic Live Session March 27 at Kelly's Olympian. The Indiana-based band of 20-somethings with a classic soul sound will play April 1st at the Wonder Ballroom in Portland. Enter for a chance to win tickets. An artist with a unique and powerful voice rooted in blues, Adia Victoria plays the Doug Fir Lounge on March 11. Enter for a chance to win tickets. The L.A.-based art-pop composer returns to Portland March 5 at Doug Fir Lounge. Enter for a chance to win tickets. The concert is April 11 at the Wonder Ballroom. Enter for a chance to win tickets. Van Etten's new record 'Remind Me Tomorrow' is a tough and candid look at life lived at multi-tasking pace. Enter for a chance to win tickets to her concert February 21 at the Crystal Ballroom. Watch an over-the-top performance from "Indie Mambo" band Orkesta Mendoza on the Pickathon Woods Stage. The veteran band returns to Portland February 14 -- Valentine's Day. Enter for a chance to win tickets. It's a song about letting go of emotional wounds and rifts in the age of Trump. Watch a darkly beautiful performance by Portland band Black Belt Eagle Scout at Revolver Studios. The Portland/L.A. rapper returns to play Doug Fir Lounge February 16. Enter for a chance to win tickets. Camp Crush At Oregon City Brewing Co. The band plays from their '80s synth-styled EP, "She's Got It," as rain starts to fall on the taproom's patio.